Initially offered in 1991, the Ping ZING Irons were Ping's most dramatically perimeter weighted iron ever. They feature an extreamly wide top line and bold toe weighting. 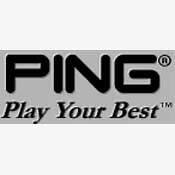 ive used ping zings for 20 years. i love these irons. they have a high tragetery, a solid feel, and are very forgiving on miss hits. yes, they look a bit funny then prevvious pings, but once you get past that look, you will adjust and hit consistant shots. after 20 years,they still play great! Im still using the original ping grips. I just purchased a set of Ping Zing's off of EBAY about 2 months ago. I got a complete set for about $150.00. I thought that was good value for money. I read all of the reviews before purchasing. I must say they hit pretty well. Its not the longest iron out there but even the bad hits seem to go pretty straight. I am still getting adjusted to them right now. I am having trouble hitting consistently but thats on me. I love the trajectory, It's nice and high and they stick the green so you can really attack the pin. I love the weight to them. Only thing you have to do is swing and the weight seems to bring the club right around. Like I said; Its good value for money and I recommend them highly. One of the best ever. I've owned about 70 sets and demoed just as many over the years and I've settled on what I think are the best three, Mizuno MP33, Callaway X Forged and the Zings. The Zings are No. 1 because I know I will get a decent score even when my game is off, they are the most forgiving and best feeling combination of club that I've used. A lot of people dismiss this great club saying they're ugly and their opinion is fine but that's all it is - their opinion. All I would say is that they obviously haven't played them because the Zings would soon become more beautiful with every green they hit. I've owned amd played a lot of clubs over the years and regardless of all the company hype, techno-babble and opinions from other players most clubs are pretty much the same, it all comes down to personal preferences and the ability to find a club that feels right and gives confidence at address. For me that is the Zings. There's no doubt the more blade-like a club gets the slightly more versatile but also a lot more demanding. The Zings have plenty of workabiiity and for the vast majority of people who want to hit high, straight shots most of the time the Zings will deliver, especially with the slight mis-hits most of us hit most of the time. Golf's a game of misses and the better your misses the better your score. So if you're after clubs and want the forgiveness and performance with moderate workability but don't want the modern, wide sold, highly decorated, high MOI alternative then give the Zings a try. You'll be surprised how these 20 year old clubs stack up against the latest technology. If your mind's closed to the possibility that's fine I hope you're happy with what you choose but you'll never really know for sure will you? I have been playing these irons off and on since they came out in the 90's. I keep trying all the new irons Ping seems to come out with every year. After wasting several thousand dollars on new irons every other year I always come back to these Zings in red dot, I'm 5'8", and the reds give me a perfect divot. Yes they are ugly, but they are the most forgiving and straightest iron I have ever hit and I have hit many. I highly recommend these irons to any skill level golfer. I soot mostly in the 80's but get into the 70's if my putting is on. My iron play is never and issue, hitting greens consistantly from 180 yards out. Iron play is the most consistant part of my game every round thanks to these Zings. I would highly recommend the proper color code before buying and try to stay away from the KT-M shafts. The JZ shafts are newer and much stronger. Hit these Zings one time and you will fall in love with them! These are without a doubt in my mind the best irons ever made. Forget how they look. That's all mental and means nothing unless you let it. From the moment I first addressed a ball with these clubs I never noticed the looks. I just swung the club and marveled at how straight and far it went. Shot after shot! After that, I looked at these sticks as the MOST BEAUTIFUL irons I had ever seen.Their pleasing curves and confidence inspiring bulkiness cannot help but build confidence at address. Before that day, cancer and back surgery had put an end to my golfing for almost 6 years. I had always played Hogan blades from my earliest days, then on to a set of new perimiter weighted clubs as I got older. When I felt good enough and strong enough to begin rebuilding my golf game I found I could not hit my irons like before. WEAK...SHORT...FAT...THIN...ERRATIC......Then I bought a set of 20 yr old Ping Zings and it all changed. Arrow-straight irons right up to the 3 iron, a club I always had trouble with, but no more. I paid about $150.00 for these zings...black dot...regular steel shafts but very well cared for. I paid almost 5 times that for the driver and fairway woods I use (Pings also). You can work the ball with these clubs, just not as dramatically perhaps as with blades, but how often do you really need to do that anyway? And regardless of what some guys say, when you hit these clubs on the sweet spot you FEEL IT! A satisfying feeling and sound that brings joy as you watch your ball arch down the fairway straight as a bullet. And you feel it when you hit a bad shot. These clubs do give you feedback. Even when you hit the ball off center you'll still get a fairly respectable shot not too far off line. No amount of money could get me to use any other irons. I know it sounds crazy but I was ready to blow $1,000.00 on a new set of irons and I ended up in love with a $150.oo 20 year old set. Such was the genius of Mr.Karsten and his design of these clubs. These clubs are STILL way ahead of their time. Even today none of the new stuff can compare to them. If you need help with your iron game buy these clubs while you still can. While they are still available. Don't worry about their age...the genius of their design is ageless and they perform better than the stuff out there today. I had played this set a few years ago when a friend lent me his set for a weekend golf trip and I liked them then. He had to quit because of health problems and sold them to me. I have to say they are the sweetest clubs I have evefr hit. They are very forgiving and seem to do everything I try to do with them. they have knocked 6 strokes off my game and I'm hoping they will drop it even farther. These are my last set of clubs. Most pings, a ton of other clubs. I recently discovered my (black dot) Ping s59’s were not setup for me. Or they were not correctly setup for me. I love these irons and I have been playing them for a few years, but I had altered my swing to get the performance out of them. I checked out the ping online fitting app and it suggested a yellow dot (1.5*)up and a change into some over sized grips, This had me all messed up wondering if it was the clubs adjustments causing my constant slight draw in my low-mid irons. I do not have the access to a ping shop or retailer in my area to take this problem to them. So I bumped into this very nice man at our club that had just cleaned up a full set of ping zing blue dot irons. They looked brand new and little wear in the grooves. Blue dot are 1* upright just .5* away from the yellow dot irons. He offered them to me for $150 and a bought them. It took several holes to get used to difference in swing weight and launch angle but I automatically liked playing these clubs. Although I was very comfortable while I was playing these zings I brought my eye2 + lob wedge and my tour 54 wedge. With me. Ive had PING ZING 2 (Red Dot) Irons 3-SW for 16 years. Ive tried several different irons to include Taylor Made, Callaway(X22), and Nike. I always return to my PZ 2's. For myself, nothing else compairs. I recently moved to Dallas and visited the driving range in Arlington. Although I has forgotten my clubs in Mississippi, I borrowed a 5 iron - Ping Zing and hit a large bucket of balls. I consistently hit shots straight at the target at and mostly beyond 200yds. Off center hits were straight although shorter. Ball trajectory too was medium to medium high. I liked the feel and have since ordered a complete iron set off of Ebay! I have used MacGregor Blades since 1986 - although I still love them.